Besides significantly reducing vibrations and noise produced by machines and equipment, anti vibration pads are largely employed for providing firm footing to many kinds of floors. 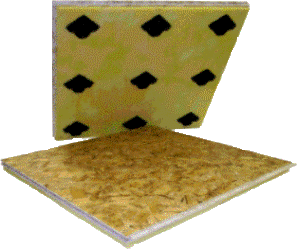 Easy-to-install, substantially cost effective and a durable. 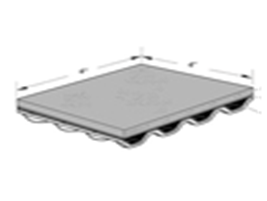 A range of anti vibration pads are employed largely for machinery that produce intense vibrations and noise. Without any doubt, treadmills need these vibration pads for reducing the vibration generated by the motor and also for lessening the vibrational noise generated due to jogging or walking. Readily available from ¼ inch to 2.5 inches thick, these anti vibration industrial pads also protect floors from the abuse of heavy duty exercise equipment and other machines.. Since some treadmills have small legs and feet that rest on the floor, the shock sent down from the machine to the floor during the usage can seem to be amplified. By placing vibration pads of correct length and thickness under a treadmill machine, the impact of the shock and vibration delivered by the machine is spread across a larger area. This even spreading of shock and vibration leads to a considerable reduction of noise and vibration along with the protection of your floor surface. 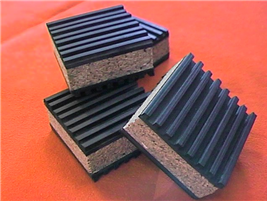 Some anti-vibration pads are assembled into panels designed to fit an entire air conditioner such as found on roofs. 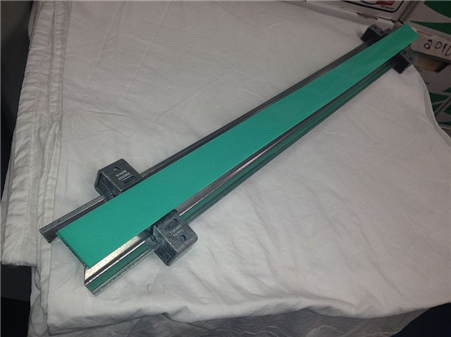 These pad assemblies are also utilized a supports for larger treadmills and even as a complete floor for a room. Some pads are assembled with rails for garage door openers and to provide footing of small motors and electrical boxes.